I said i'd update on the whole Elounor situation. That has turned out to be quite the task, but i'll try. 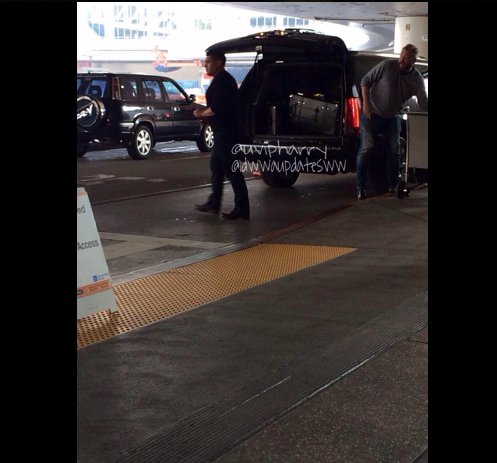 So it was correct that Lou and El took a seperate flight from Sophiam and that all of them flew to LAX. I haven't been able to find the original leak of this information or even what exact information was leaked, but update accounts strangely suddenly knew. Kind of weird to be giving out exact information like that, which by coincidence is about the same airport that Sophiam, El and Lou arrived in. The fact that there was only one picture taken and they look mad as hell is weird in itself. The fact that they apparently planted a decoy for 15 fans seems even weirder. But things get even stranger. I kept the image in it's original size for a purpose. Look at the sign in the upper right corner. Then look at the yellow sign next to Eleanors foot. Now i'd like you to explain to me WHY they're walking on the escalators the wrong way? And goes away from the boarding-zone instead of coming out of the arrival-zone? 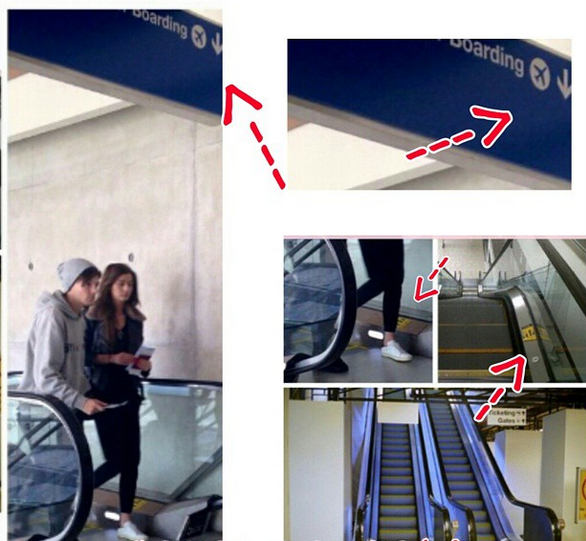 I expected a Elounor picture after the LA-news, but this seems so weird. Oh yeah, and this appears to be the original photo source. It seems to be a 5SOS fan, who also managed to capture something like 50 shots of Liam and Sophia. Actually the source seems somewhat credible, but when you pair it with the fact that no one else got pictures of them, that this one photo is very weird and that everyone else got photos of Liama few hours later, it just seems so weird. Fans are complaining about Liam ignoring them and paps at the airport and there are plenty of pictures. There is no fans complaining on twitter about not getting photos with Louis, yet no one has any. 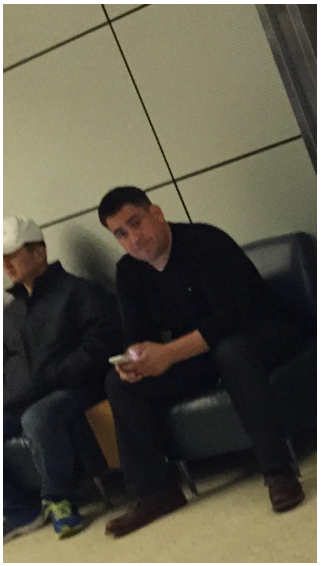 No one is speaking about meeting him at the airport, yet this one fan managed to find them and get a (weird) picture. I don't even know what to conclude from this. 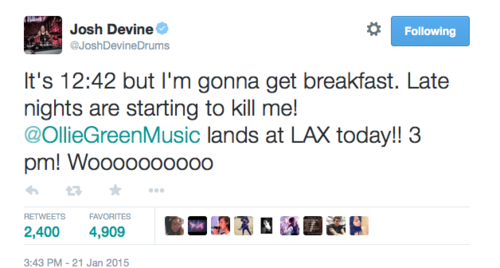 I think that maybe Louis and Eleanor did arrive together in LA, but that management made sure that they controlled the entire thing. The other possibility is that they didn't arrive together, and management just wanted it to seem as though they did, hence the whole decoy-thing. In that case, the photo could have been set up. In any case, this is a weird turn of events. I just expected a couple of bearding-pics with maybe a cup of starbucks and some fan vids of the whole thing, and instead we just got a whole lot of shadyness and one even shadier picture.